MicroBot Hub is a bridge between the MicroBots and the Cloud. It ensures that the MicroBots are permanently connected to MicroBot Cloud, thus making them ready for remote control and integrations with third-party devices and services. To control your MicroBots remotely, you need an additional smartphone or tablet PC (a.k.a Soft Hub) that will remain next to your MicroBot Push and ensure the connection with MicroBot Cloud. MicroBot Hub is useful when you don't have such a spare smartphone or tablet that will serve as a hub. It is also much cheaper than buying a new phone or tablet. 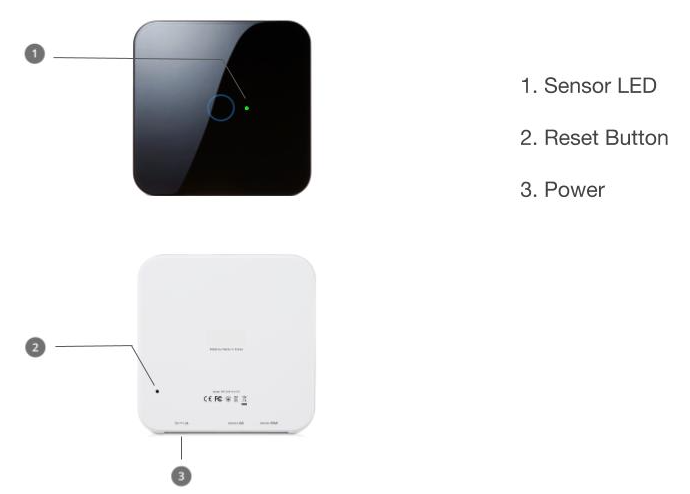 MicroBot Hub provides a more consistent user experience and connectivity than a Soft Hub. It is free from all the limitations imposed by your smartphone's or tablet's OS and the hardware's capacities and performance. MicroBot Hub offers an unlimited experience of your smart home and makes sure that your MicroBots always stay connected to the Cloud, ready for remote control and automation, 24/7, thus offering a smoother user experience. MicroBot Hub is not waterproof. Do not expose it to dripping or splashing liquids, rain, or moisture. MicroBot Hub runs on a 5V 2A power supply. Make sure you are using the correct power supply.